CALISTOGA, Calif. -- The Valley Fire evacuation center at the Napa County Fairgrounds in Calistoga closed Thursday morning, but shelters remain open in Lake County. Katie Wilkes, a spokeswoman for the American Red Cross, said only three people were at the indoor shelter Thursday morning, and the Red Cross is transitioning its services to the shelter at the Grace Church in Kelseyville. Another shelter is located at the Twin Pine Casino & Hotel in Middletown. PG&E has opened three customer help centers for evacuees in Middletown, Hidden Valley Lake and Loch Lomond. Evacuation orders are expected to be lifted for people in Anderson Springs at 5 p.m. on Thursday. Lake County emergency officials are expected to host a community meeting to update homeowners at at the Middletown High School football field at 6 p.m.
Officials say schools in Middletown will re-open on Monday. The Red Cross responded to the Valley Fire hours after it started around 1:20 p.m. on Sept. 12, Wilkes said. 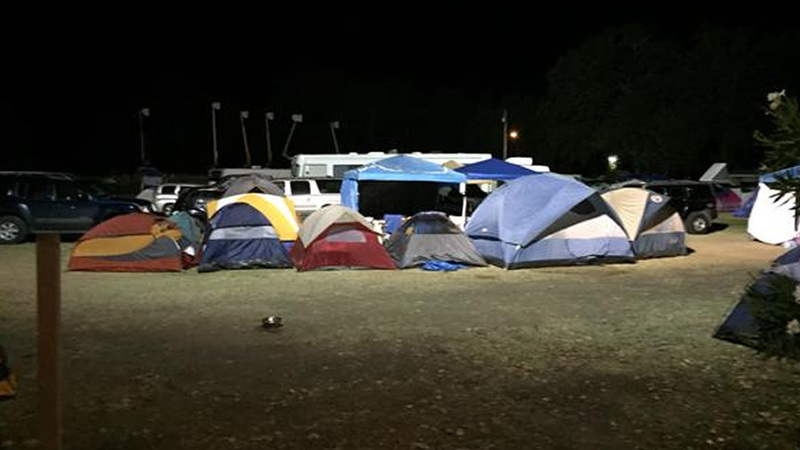 There were as many as 1,000 people staying at the fairgrounds in Calistoga since it opened, most of them outdoors in tents and recreational vehicles. As many as 30 people were housed inside the Tubbs Building at the fairgrounds at 1435 N. Oak St., Wilkes said. Wilkes said the Red Cross's focus there was on feeding and sheltering evacuees rather than collecting donations. The Red Cross's preference for monetary donations enabled it to respond on the evening of the fire because those previous financial resources were already available, she said. The 76,067-acre Valley Fire in Napa, Sonoma and Lake counties was 85 percent contained as of Thursday. 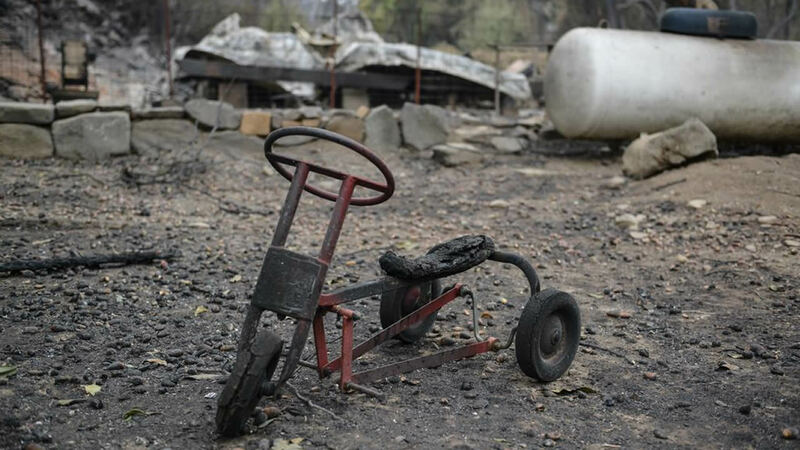 It has destroyed 1,910 structures, killed four people, injured four firefighters and left an estimated 3,000 people homeless, mostly in Lake County, according to Cal Fire. The Valley Fire is the state's third-worst wildfire in terms of the number of structures destroyed, Cal Fire officials said. There is a new Lake County hotline for updated information on the fire: 1-888-565-2787 You can also call the number to find support if you need help assessing your damage.